UPDATE: This New York Times story chronicles the current state of the debate -- Ratepayers, not shareholders, would be on the hook, even when utilities' negligence spreads fires. However, homeowners could still recover losses from the utilities. Sacramento, CA -- In a letter to the 120 members of the California legislature, Consumer Watchdog president Jamie Court warned that a bailout of California's three investor owned utilities for causing wildfires would "almost certainly be the greatest disgrace for this legislature since its decision two decades ago to deregulate electricity and turn over our energy supply to the Enron pirates." "The integrity, duty and reputation of this legislature should outweigh the largess these three utilities have showered upon the members of its houses," Court said. 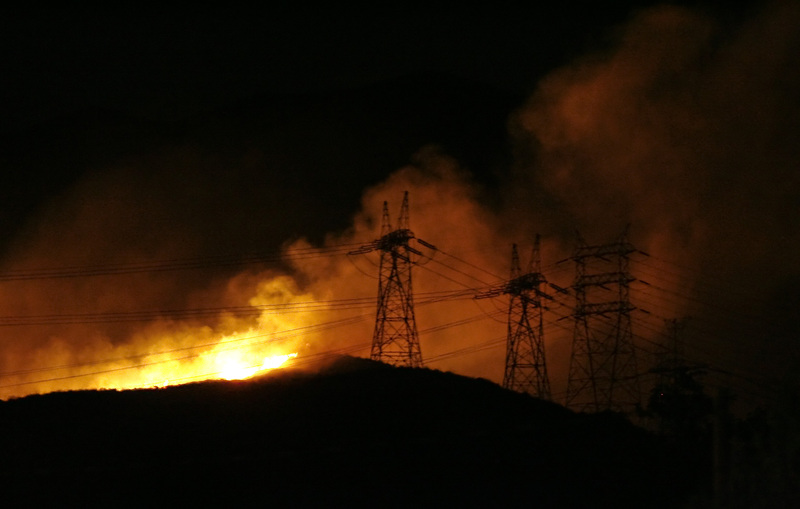 "It's time for public servants to tell the utilities not to start fires if they don't want to be liable for the damage they cause to Californians." Read Consumer Watchdog's letter here. "Pacific Gas & Electric (PG&E), Edison and SEMPRA are reportedly claiming their financial health will not withstand jury verdicts that have yet to be rendered in wildfire cases," Court wrote. "They want legal immunity for their future failure to clear brush near utility lines and to properly maintain equipment when such potential negligence causes future fires. It's a shameful corporate ploy to transfer risk from shareholders, who properly hold it, to taxpayers, homeowners and ratepayers. It has no basis in the financials of the companies and should not happen even if it ever did." Court referenced purported meetings between the CEOs of the three investor-owned utilities and legislative leaders where the executives allegedly asked for the bailout. "The utilities' CEOs have reportedly delivered their ultimatum to you personally: bail us out or we will go into bankruptcy and have to turn your power off," Court wrote, pointing to Senate Bill 1088 (Dodd), which would relieve California's three investor owned utilities for responsibility for fires they created, and passed its first committee last week. "It's a hollow threat that this legislature has stood up to before under the leadership of John Burton." Court reminded the legislature, "This blackout blackmail was delivered to the state legislature during the 2000 - 2001 legislative Session. The Assembly under Bob Hertzberg's leadership passed the utility bailout measure backed by Gray Davis and the Senate under John Burton's leaderships rejected it. Gray Davis's PUC orchestrated a utility bailout out anyway. Gray Davis was recalled from office. "The members of this legislature face a similar career stain should this measure succeed. We urge you not to immunize PG&E's, SEMPRA's, and Edison's executives and shareholders from legal responsibility for negligence in their business operations or for starting wildfires that have not happened based on the imaginary threat of financial woes that they have not suffered."